The Green Screen or The Dream Screen? 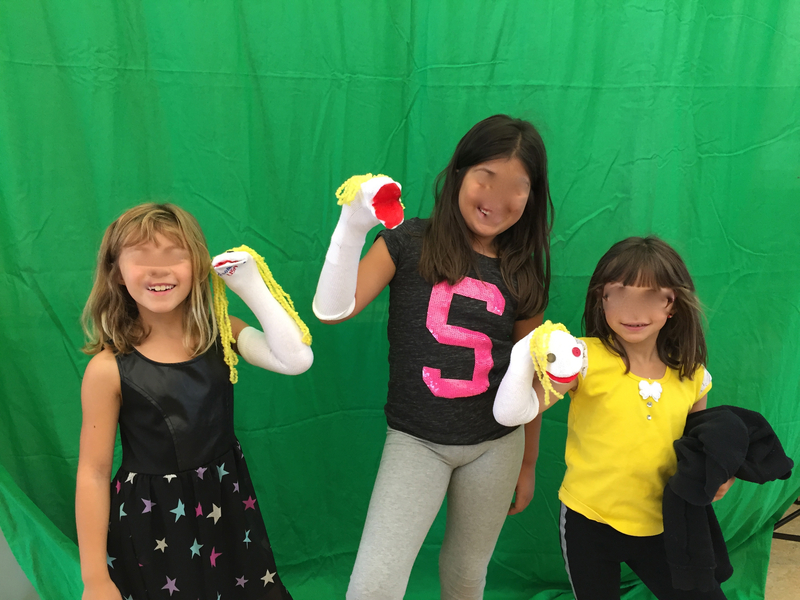 The green screen is one of those tools that might seem esoteric at first and intimidating but with some easy-to-use-iPad apps, it has brought the technology to a very simple science, so much so that students are making movies for fun. Granted, some of the fun movies are not well edited, don’t have the kind of voice one would like, and more. However, just the fact that students who otherwise may not be aware of this technology or who would like to transport themselves to Hawaii and just to place the basic art of movie-making in the hands of a 5 year old is immense satisfaction for them. Just having that green screen up and in sight in the Maker Studio makes it accessible to all students and gets them thinking. 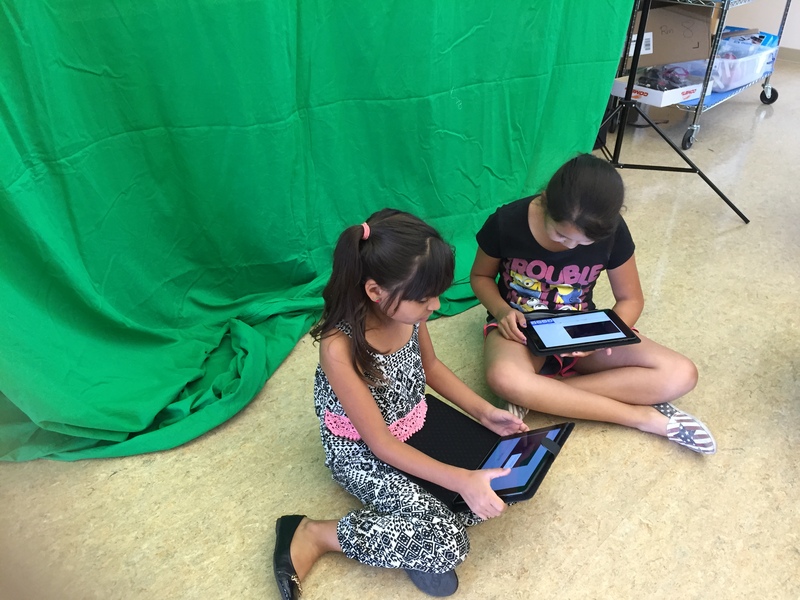 Our favorite iPad app to use is Do Ink Green Screen. It is easy enough that we have used it with kindergarten students (in spring, not the fall). There is of course, our all favorite iMovie on the computers for larger projects. It doesn’t have to be a fancy contraption to call it a green screen. It can be a green cloth or a green plastic sheet or table cover. Klutz makes some excellent books on video tips and tricks and other related video making books. In each of those books is a plastic green sheet. Movie making has a magic with all ages because, however shy, students enjoy being filmed. They enjoy seeing themselves. They enjoy changing the background to their favorite place, or even their favorite rock group. For propping the iPads, besides using a Just Stand 2, students have been super creative with finding tables and cardboard boxes and contraptions pieced together to put in place something to prop up their iPad for filming purposes. The thought that goes into the script making, the excitement, engagement and motivation that a movie can produce is really fascinating to watch. It also involves a great deal of teamwork, cooperation skills and a constant process of revision (which can then be connected to their writing) and of course, a great deal of language. Time period acts (like the Gold Rush or missions). After packing away the green screen for the summer, it came back up yesterday and is on for students to now film anything from princesses to Abe Lincoln! Imagine, dream, create! 1 Response to The Green Screen or The Dream Screen?